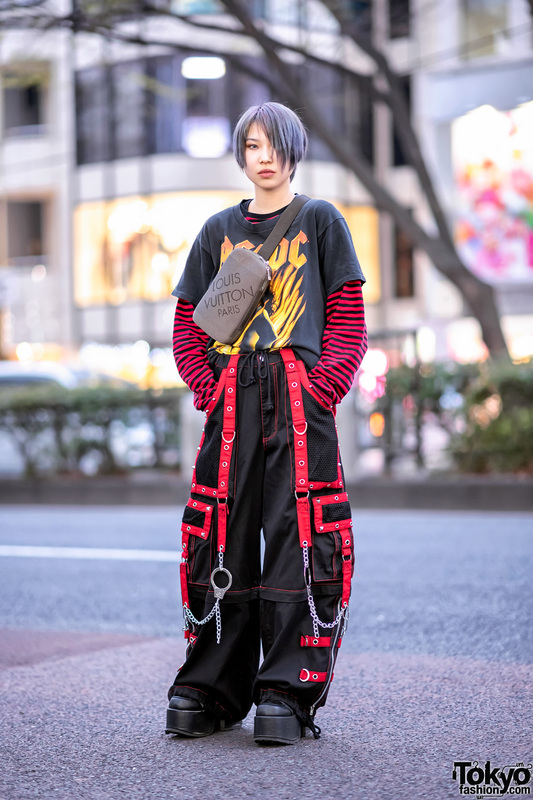 This is Saki, an 18-year-old student we recently met in Harajuku. She has partially shaved, short purple hair and she’s wearing a red and black outfit. Her t-shirt is from Sister Shibuya, worn with a full skirt from Growze and a harness from LB-03. 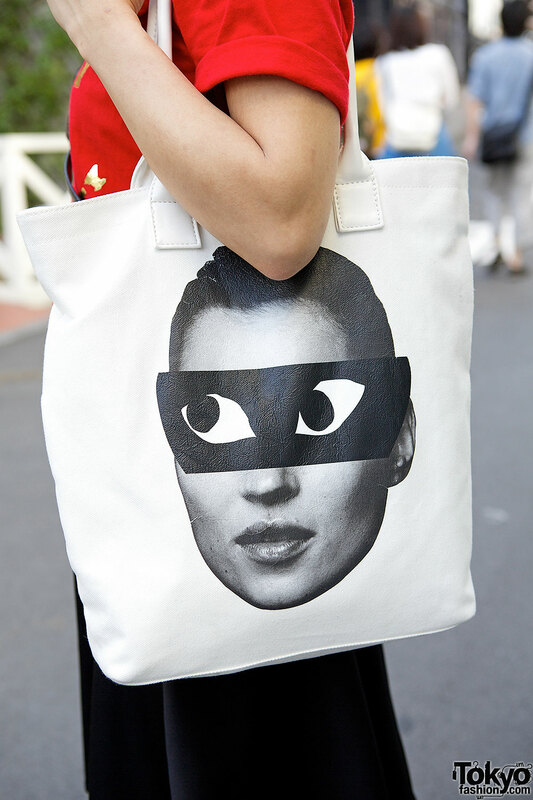 Her tote bag features Kate Moss’ face with drawn eyes and it’s from Halfman, while her platform loafers are from Emoda, worn with white socks. 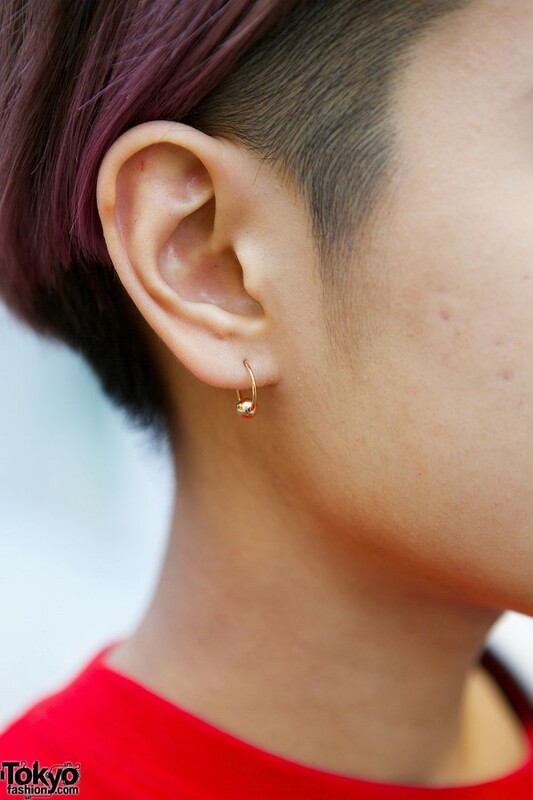 She is also wearing small, golden earrings. Saki’s favorite places to shop include G.V.G.V., Sly and Topshop. She’s a also a fan of Miliyah Kato. Saki is active on Twitter.